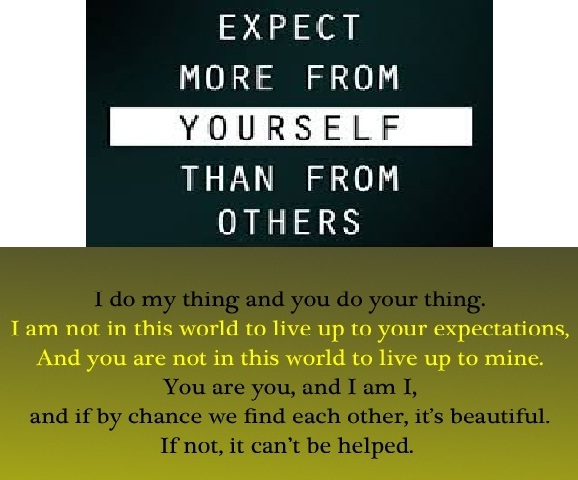 “Expectations” – Almost all of us are surrounded by this word, this feeling. 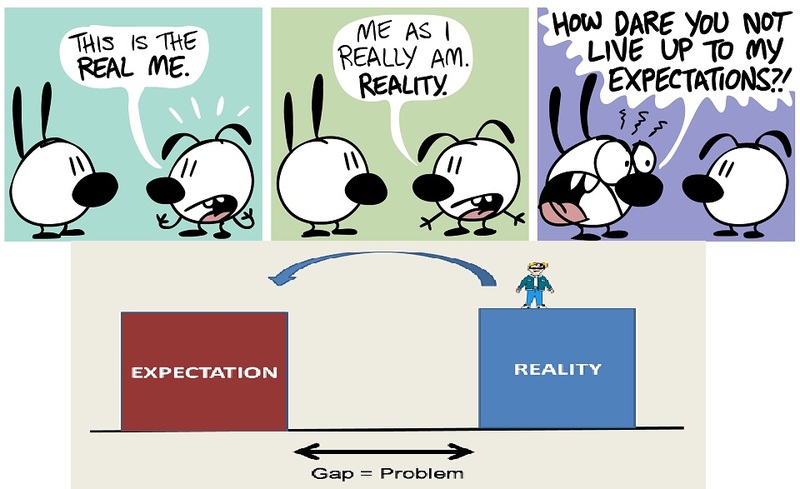 There are different levels, different platforms and different viewpoints for these expectations, but the absence of “expectations”- it’s the rarest of rare. Seems like, the above lines have triggered your brain. So, what are you thinking? From my family, friends, collegues , office, government and the list go on and on. To expect care, concern and love from family. To expect help, trust and understanding from friends. To expect coordination, cooperation and support from colleagues. To expect respect, recognition and justice in office. To expect good infrastructure, law and order from the government. To expect good and hygienic food in restaurants. To expect reliable products from shopkeepers. And, here comes the twist. We often mix and use all of these interchangeably. What we deserve and what is our right, both have realistic boundaries. Their levels can be clearly defined. If you have written all your answers correctly, you deserve good marks. If you can give this much of the output, you deserve this salary/gift. If you pay your taxes on time, you have the right to get better infrastructure. If you pay in a restaurant / shop, you have to right to claim quality and reliability of product received. But, what we expect, what are our ambitions/ aspirations, they do not have any pre-defined limits. At times we set these limits as per our desires and at times there are no boundaries at all. They are spread across a vast range. They totally depend on us. Our thinking, our efforts and our understanding. If you did your papers well and expect to be class topper, it’s a limit set by you. You don’t deserve it unless there is none of the other students who have performed better than you. If you did your best in the office, you expect X% increment. Again a limit set by you. You deserve best increment, but it may be less, equal or more than X%. If you expect care and love of family, trust of friends, coordination from colleagues, it is just your wish, your limit. It is not necessary that what we expect is what they will give. They will give as per their wish, their limits. It’s up to us to decide on the levels of expectations, but we can not control beyond this decision. Even after doing our best and setting a good example from our side we need to be well aware of the fact, that we can set our limits but we cannot define / guide others. They will behave the way they want. When they do not synchronize with our level, we start cribbing. Is it right? Are we authorized to speak for limits of other people? The answer is – “NO”. Do your best. Do what satisfies you. But, not with the feeling of expecting back the same return but with the feeling of satisfying your own conscious. And now, last but not the least – our aspirations, dreams and ambitions. They are the ones for which we are passionate. Pursuing these gives us contentment, pleasure, happiness and a feeling of utmost satisfaction, a feeling of doing something worthy and meaningful, a feeling of living our life in true sense! It’s our own efforts, decisions, and hard work that makes these dreams true. Aspiration is not an expectation from others, but from yourself. You have all the capability to control it, achieve it, live it. It’s our determination, which helps in achieving our ASPIRATION. 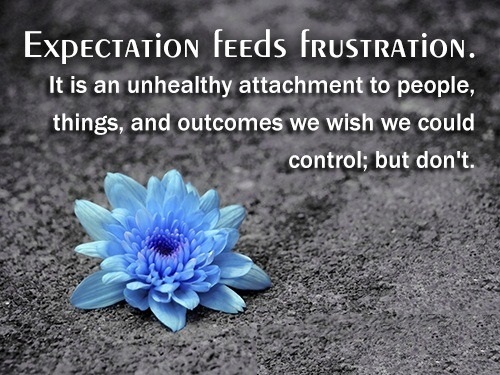 Setting up exceptionally high standards of our expectations only ends up making our life a mess full of complaints, dissatisfaction and disappointment. 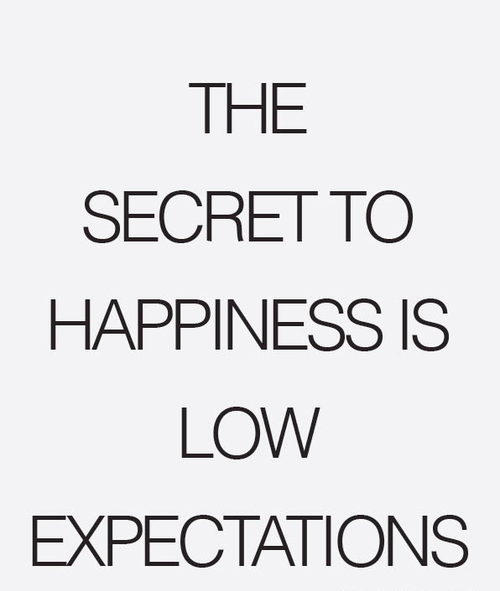 But, having no expectation at all may also end up with people taking our advantage. It’s up to us to clearly define the limits of these expectations. In my view, they shall neither be exceptionally low nor exceptionally high. To be exploited, satisfied , frustrated. This entry was posted in Happiness and tagged dreams, Expectation, family, friends, happiness, Inspiration, Life, opinion, People, Philosophy, Random, Thoughts by Akanksha. Bookmark the permalink. Well , Do you expect me to write a feedback ! ..Good piece of writing, people settling at different level and priorities in life is a testimonial that they have limited their expectations & have become wise. Thanks for reading and sharing your views. Good to know you liked it. A very spiritual article for all the technical jargon! In the end, contentment is in our hands but we’re to busy not being satisfied to be content. Nice article. Well written and well said! Thanks for stopping by my blog and leaving your views. It’s nice to know that you liked it! I am glad to know that you liked this. Thanks..